Associated Black Charities plans to return the money that remains from donations given to them to pay for "Healthy Holly" books. BALTIMORE, Md. 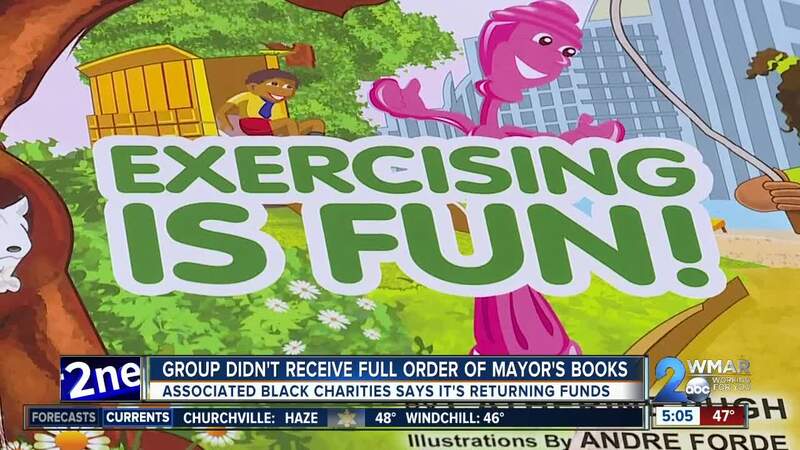 — Associated Black Charities plans to return the money that remains from donations given to them to pay for "Healthy Holly" books. Between 2011 and 2016 five organizations, including CareFirst , donated $87,180 to ABC to pay for the books. The organization retained a gross sum of $9,552 and will return that amount. The money will either go to the original funders or be donated to a local charity focused on childhood health issues. ABC's involvement with "Healthy Holly" started in 2011. According to a statement from the group, in discussions with then-Senator Catherine Pugh they learned of her book focusing on childhood healthy behavior. The idea "fit well with the organization’s mission at the time of addressing racial health disparities, including high rates of obesity among African-American children." ABC confirmed receipt of 4,500 copies of the 10,000 "Healthy Holly" books purchased. 4,100 of those books were distributed to child care centers and youth-serving groups in Baltimore and on the Eastern Shore. Of the books distributed, 3,000 included a bookmark urging parents to read to their children and thank the author Catherine Pugh and the donors. Approximately 400 books were water-damaged and not delivered and not replaced. Healthy Holly, LLC retained the responsibility to directly distribute the remaining 5,500 books paid for by donors. ABC re-examined the project after media accounts raised questions about the "Healthy Holly" book purchases. Last week, The ABC Board unanimously passed a resolution prohibiting any business arrangements with any elected officials or any politically appointed persons. An independent financial review was ordered to look into donations as well as the source of those donations to see if any other ABC transactions involved an elected official or politically appointed official. The Board's finance committee also plans to develop a process to review ABC vendors. ABC Board Chair, Dominique Moore, issued a statement that said, in part, “While we are confident ABC acted with the right intentions in this book project, we are sharing this information because ABC’s work is too important to allow even the perception of any wrongdoing to exist."